Yoga Classes In Rishikesh, India. Buddhayogpeeth is the best yoga School in Rishikesh offers Residential Yoga classes for Yoga Teacher Training in Rishikesh, India. Our Yoga School in Rishikesh provides one of the best Yoga classes in Rishikesh offers Residential Yoga Alliance Courses in Rishikesh – 100, 200, 300, 500 Hour Yoga Teacher Training in Rishikesh, 7 & 15 days yoga retreat in Rishikesh. All Yoga courses are certified by Yoga Alliance USA. The Perfect Yoga Teacher Training Classes For Beginners In India. We Provide 15 Days Yoga Retreat and 7 Days Yoga Retreat In Rishikesh, India. We Provide Luxury Retreat To Help You Unwind and Get Away From Daily Hectic Life. Our 200 Hour Teacher Training Course Is Best For People Looking to Become Yoga Instructor. We are a yoga teacher training & Retreat centre in Rishikesh dedicated to spread and preserve traditional Yoga through its well-crafted yoga teacher training courses in Rishikesh and yoga retreats, in the holy Yoga capital of “Rishikesh”, India. We invite you to join the sacred journey of our traditional yoga classes in Rishikesh and be a part of this divine science. We are a well-known name in the field of yoga and spiritual arena having many years of successfully trained students from across the globe with the guidance of our expert and experienced Yoga teachers. 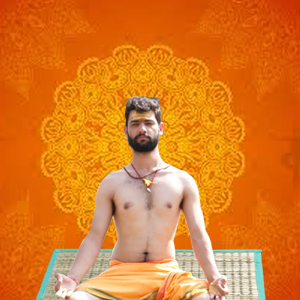 “Learn Yoga from Our Yoga Trainers and become a Yoga Instructor and give coaching to others.”. Our courses are aimed at providing students with an environment where they can learn yoga easily. Rishikesh provides a spritual and peaceful environment to practice and benifit from practicing yoga. Trained professionals at YTTC help you to practice safe yoga with proper guidance. We provide a professional dietary and nutrition consulting service aimed to helping you achieve. Yoga is a way to achieve a healthy and fulfilling life. By doing yoga daily we can achieve this target. Yoga not only an exercise for our body it also helps to keep our mind and soul calm. There is no denial to the fact that most of the times, your Yoga instructor gets you in the completely right manner like no one ever do.